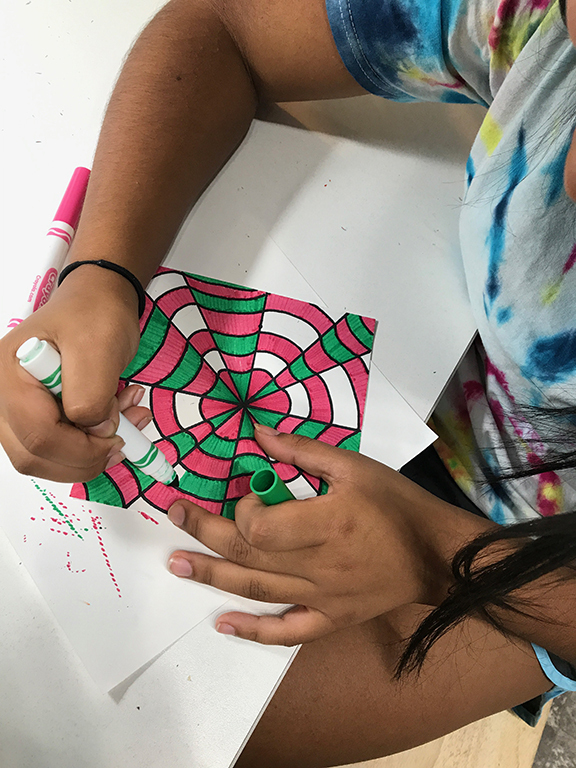 Elizabeth works on an Op Art project. Private and semi-private lessons are available in Anastasia's Carmel, Indiana art studio to children grades K-12 and to adults of all ages. Registration is ongoing throughout the year. Please contact Anastasia for availability and more information.